OnlineClock.net Navigates To A Relaunch: OnlineClock.net, creators of the world's original online alarm clock website, have relaunched their site by adding a navigation menu which contains links to all of their different clocks. Tom Churm, who created the Online Alarm Clock website known simply as "Online Clock", said that he'd been resisting making any changes to his website for the longest time. "For OnlineClock.net, presenting a minimal website devoid of all clutter has always been a very high priority. This is the reason why we resisted adding a proper navigation menu to our alarm clock for so long." Mr. Churm was talking about the website which is very likely the internet's most popular web-browser based alarm clock. OnlineClock.net presents austere red digital numerals against a stark black background. There is little else to see on this unconventional website other than simplified controls which enable users to choose a desired alarm time and to change the size of the clock's numbers or to change the background color of the Online Alarm Clock. Beach Volleyball Online Receives New Upgrade; Opens Item Mall: Beach Volleyball Online, the free-to-play Beach Volleyball game from Radiance Digital Entertainment and Omniverse Games has been upgraded to improve key in-game systems and to enhance player experience. In addition, the item mall has become fully operational, allowing players to customize their characters in thousands of new ways. The latest upgrade to Beach Volleyball Online improves key in-game systems and enhances a variety of other features. Both the game engine and the artificial intelligence have been optimized. NPC character action has been vastly improved, as has the physics related to ball movement. Additional enhancements include tweaking item durability so items last longer before requiring repairs, and bringing back the popular sea shell collection mini-game. The game text has been improved in all areas including menus, tutorials, the character creation area, and in the item mall, which is now officially open. With more and more consumers looking for smart and easy ways to protect the environment and save money, iGo® (Nasdaq: IGOI), the leading provider of green power management solutions, has launched two new laptop Chargers featuring iGo’s proprietary and patent-pending iGo Green™ Technology. Vampire Power, or the energy drawn from devices that are plugged in but not in use, wastes 15 billion euros annually in Europe alone. 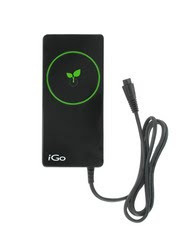 iGo Green Technology products automatically detect when a device is fully charged (or disconnected), and shuts off the power drawn from the wall; then, once the battery requires further charging intelligently switch back on to provide the necessary power. 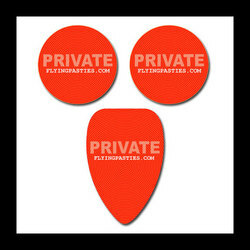 iGo Green Technology virtually eliminates Vampire Power. 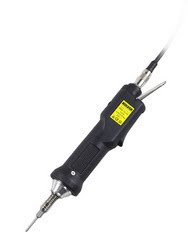 KolverUSA Presents Their Brushless Electric Torque Screwdrivers: KolverUSA offers a complete line of Brushless Screwdrivers. The Brushless (BRL) Series feature state-of-the-art brushless motors and clutchless torque control, the perfect solution for clean room applications thanks to zero emissions of carbon and other pollutants in the working environment. The Brushless Series by KolverUSA are extremely small and lightweight for utmost operator comfort and with advanced ergonomic design, the ensure very low noise level, minimum vibrations, maximum safety, lasting performance as well as maintenance free operation. The Brushless screwdrivers are available either with a current control system, our AS Series, or with a mechanical clutch, our FR Series. In both cases the electronic controller, EDUBR Series, will cut the power supply to the motor as soon as the preset torque has been reached. All of the KolverUSA BRL drivers come standard with an ESD-safe body, 8.2 ft connection cable and suspension bail. The heavy-duty cables and connectors, developed for robotic applications are made of antistatic dissipative material for a sale use in EPA environment. Why Choose a Brushless Screwdriver? Neato Robotics Vacuum Cleaner Available at RobotShop: Neato Robotics has selected RobotShop, the leading source for personal and professional robot technology, to sell the company’s new Neato XV-11 robot vacuum cleaner online. 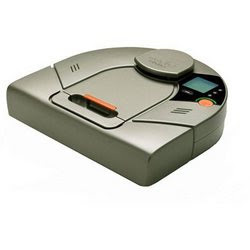 RobotShop Distribution Inc. announced today that they will be among the top online retailing stores to sell the Neato XV-11 all-floor robotic vacuum cleaner. As robotic experts and as a specialized robotic online store, RobotShop has been anticipating the release of this new technology from the moment it was discovered. RobotShop is beyond excited to make it available to its customers. 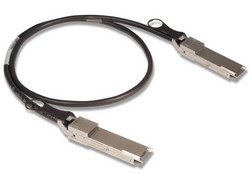 Siemon Announces New 40+Gb/s QSFP+ Passive Copper Cable Assemblies for High-Speed Data Center Interconnect Applications: QSFP+ 4-lane low latency interconnect solution provides up to 10+Gb/s of bandwidth per lane to support server blade to box, rack-to-rack and shelf-to-shelf interconnects as well as high-speed networking and storage equipment applications. Siemon, a leading global manufacturer of IT network cabling and infrastructure systems, announces the release of their 40+Gb/s QSFP+ (Quad Small Form-Factor Pluggable Plus) passive copper cabling products. These shielded 4-lane copper cable assemblies were developed as a cost-effective, low-power option for high-speed data center interconnects up to 7 meters, ideal for applications such as high-performance computing (HPC), enterprise networking, video networking and network storage systems. The QSFP+ form factor interface can replace up to four standard SFP+ connections, providing greater port density and reduced system cost. Advanced design and manufacturing processes, such as precision wire stripping and a unique automated termination process result in optimized Cross Talk control and Return Loss. The same automated processes result in Siemon’s QSFP+ assembly’s consistent and industry leading signal integrity performance. 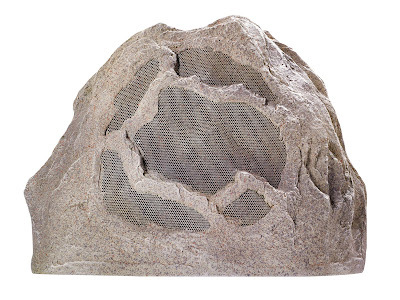 Creative Sound Blaster Wireless Rock Speaker Now Available – Just in Time for Summer! 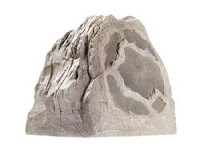 Looks Just Like a Rock – Rocks Just Like a Sound Blaster: Sound Blaster Wireless Rock outdoor speaker is part of the Creative Wireless audio ecosystem. Creative, a worldwide leader in digital entertainment products, today announced availability of the Sound Blaster Wireless Rock Speaker, the latest addition to the Sound Blaster Wireless family of products, designed to be placed outside bringing the music playing from a Creative whole-home wireless audio system outside. The Sound Blaster Wireless Rock Speaker is a high-quality stereo speaker encased in a granite-rock like exterior, which complements any landscape. The Sound Blaster Wireless Rock Speaker is designed to withstand moderate weather conditions so it doesn’t have to be brought in every time it rains. Samsung LED Touch Screen - First Ever LED Touch Screen by Tech Global Inc.: Samsung EX-series professional LED backlight LCD displays (400EX, 460EX) are an incredible 1.6" thin integrated with a seamless high-performance touch system brought to you by Tech Global Inc the leader in high-performance touch solutions! Tech Global is known for integrating their cutting-edge, high-performance touch technology into leading OEM brands like Samsung, NEC, LG, Dell & HP. The technology partnerships with these leading brands assures top quality backed by the manufacturer. IPEVO, Inc., a designer and maker of products for emerging Internet-driven behaviors, has released Tubular Wireless Speakers for Apple's iPad as well as the latest generation of the iPhone. Tubular is a portable pair of three-watt speakers that provides iPad and iPhone users with improved two-way stereo sound, as compared to each device's built-in mono speaker. Tubular utilizes Bluetooth technology, such that the speakers can communicate wirelessly with any Bluetooth audio device at distances of up to 32 feet (10 meters). Toshiba's Singapore Computer Systems Division (CSD), a division of Toshiba Singapore Pte Ltd, today announced the Portégé R700, the thinnest and lightest 13-inch full-performance ultraportable. 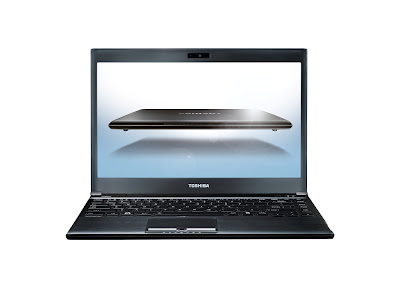 The Portégé R700 provides both consumers and business professionals with unprecedented performance in a highly mobile form factor at mainstream prices. Herotopia - The First Multi-player Online Game Where Kids Become Virtual Heroes and Learn How To Deal With Real-life Bullies: Herotopia, The First Free to Play Social Online Game to Empower, Entertain and Educate Kids About Bullying. 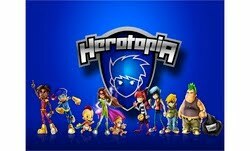 Herotainment, LLC, the New York based children’s media company has announced the launch of Herotopia, a free to play social online game for kids ages 6 to 14. Herotopia is a fun and educational virtual world where kids become superheroes. In the dynamic multi-player online game, players explore real world cities and cultures and learn how to deal with bullies, a major issue facing 1 out of 4 of school-aged children. In Herotopia, each child creates his/her own superhero avatar, chooses a special superpower and travels around the world to play and learn. The site design is a map of the Earth and users can explore nineteen different destinations, from New York to Paris, to Beijing and the North Pole. As kids travel throughout Herotopia, they are introduced to foreign languages, geography and reading skills all in a safe and interactive community setting. A Dome Camera Rugged Enough For Any Environment - Another Tough, Smart Security Camera design from Rugged CCTV: Security Cameras have advanced to the point where they are smarter and smaller than they once were, but they also seem to be more fragile and have a shorter life than they did a decade ago. Most Security Camera manufacturers explain this by invoking the "they don't make things like they used to" excuse. One manufacturer, Rugged CCTV, bucks that trend by making security cameras better and more rugged than the old days, and even tougher than anything the competition currently offers. 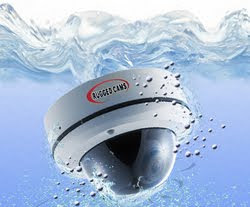 "Since the advent of Digital Security Camera Systems, our customers are now confident that the video from their cameras will look great", says Allen Spears, Chief Engineer for Rugged CCTV, a manufacturer of the Rugged Cams brand of security cameras, "But they don't seem to be happy with the overall quality of most outdoor rated dome cameras that are being offered to them." he says. "The most common complaints we are hearing, is that they leak and fog up whenever it rains, or that they simply die after only a year or two in the field. So, our mandate was to manufacture an Ultra High Resolution Dome Camera that is rated to IP68 standards, and would stand up to anything that Mother Nature or vandals can throw at it." Improved HDD Mechanics Hard Drive Recovery Tool with Extra File Formats: Recovery Mechanic Labs announces the update of HDD Mechanics enables comprehensive recovery for dozens new file formats by extending PowerSearch support to new types of files. In addition, the same types of files can now be previewed in pre-recovery mode. The total number of supported file formats now reaches 230. 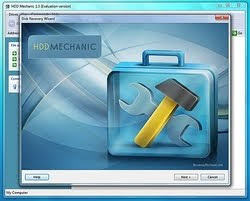 HDD Mechanics offers basic and comprehensive data recovery modes. In basic mode, the tool can recover folders and all types of files. The basic mode, however, is limited to relatively healthy disks that still have a file system (FAT or NTFS) still available. This is not always the case. Kinect Yourself to the New Xbox 360 Slim 250GB: The new Xbox 360 Slim is the long awaited brand new games console continuing the 360 range. With the recent price drop there's never been a better time to start Xbox gaming. The Xbox 360 elite console price has crashed from £199.99 to only £149.99 a new all time low! Furthermore the most exciting news is the new Xbox 360 slim 250GB price has been set at just £199.99 to pre-order online in the UK. One of the main benefits of pre-ordering online early is to guarantee the cheapest price and earliest delivery date, which will be the same date as high street shops sell the new Xbox slim; providing they still have stock by then. By comparing up to the minute deals shoppers' can be certain of getting the best price Xbox slim bundle. At present the attraction of wanting to buy the new slim console is exceeding expectation, and excitement surrounding Kinect has kept the new slim Xbox in the news. 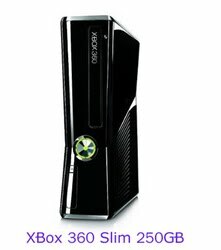 For the new slim Xbox has a dedicated Kinect socket too. For those new to Kinect, a brief overview follows: Kinect is a whole new world of technology that seems years ahead of its time. Think 'Minority Report'. No wires and no controllers; just you and your body are all that you'll need to use this revolutionary form of gaming hardware. YOU are the controller. Asetek Liquid Cooled All-In-One PC Prototype Demonstrates Consumers Need Not Sacrifice Performance for Sleek Styling: Asetek, the industry leading supplier of liquid cooling systems for computers, today demonstrated how liquid cooling enables all-in-one PCs to deliver performance on par with the best performing desktop systems while maintaining attractive price points & near silent operation. 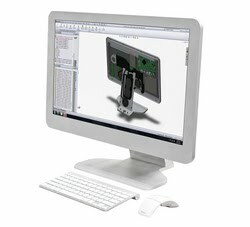 The sleek all-in-one (AIO) prototype features a 24” display and uses a liquid cooled Intel Core i7-920 desktop processor and nVidia GTX280M graphics card in an enclosure that, at 58mm, matches the slender profile of Apple’s iMac. This prototype shows how liquid cooling overcomes the thermal limitations that have historically forced PC manufactures to use more costly, lower performance mobile processors in their all-in-one designs. Inquisitive Minds, Inc., today announced a free Firefox Add-on, “Zoodles – Safe Web for Kids,” that turns Firefox into a safe, virtual playground filled with educational games for kids ages 3-8. Zoodles is the first child browser that adapts its interface and content to match the age and skill level of each child so that kids don’t need mom or dad to help. For young children, the simple interface means no reading is required to navigate, so they can explore, play and learn all by themselves. Bluepoint Security Launches World's First Cloud Antivirus For The Google Android Mobile Platform: BluePoint Security, an Atlanta based antivirus company specializing in threat prevention and cloud based antivirus solutions, announced today the launch of its BluePoint Antivirus for the Google Android mobile platform. Android powered mobile devices operate cross carrier and worldwide with Google reporting 60,000 Android handsets shipped each day. “Protecting mobile devices is critical as consumers increasingly rely upon these devices not simply as phones but full featured computer systems. Our solutions are targeted at breaking the incident response and cleanup cycle and providing real-world threat prevention” said Julie Russell, CEO BluePoint Security. Always on networking, memory cards, email, sms and other forms of mobile communication systems present formidable security challenges. Memory cards transferred from personal computers to phones can turn mobile devices into hosts for malicious code. This fact demands that security solutions be able to prevent a full range of threats on mobile devices.